fifteen minutes of dance music both to pre-war and wartime America brought to you by the "cigarette that satisfies"
"The cigarette that satisfies" presented fifteen minutes of dance music both to pre-war and wartime America. The show began airing in 1939 under the name "The Chesterfield Show" (Moonlight Serenade) and and featured a heady variety of popular singing stars, and regular featured The Glenn Miller Orchestra. This collection begins when Bing Crosby signed on as host in 1949, and the program began airing as "The Bing Crosby Chesterfield Show." Crosby would continue his program after Chesterfield bowed out as a sponsor, with General Electric taking over. Guests included Peggy Lee, Dinah Shore, Fred Astaire, Burl Ives, Jane Wyman, Humphrey Bogart, Rosemary Clooney, Judy Garland, Bob Hope, Al Jolson, Fred Allen, the Andrews Sisters, Jimmy Stewart, Louis Armstrong, and Groucho Marx. 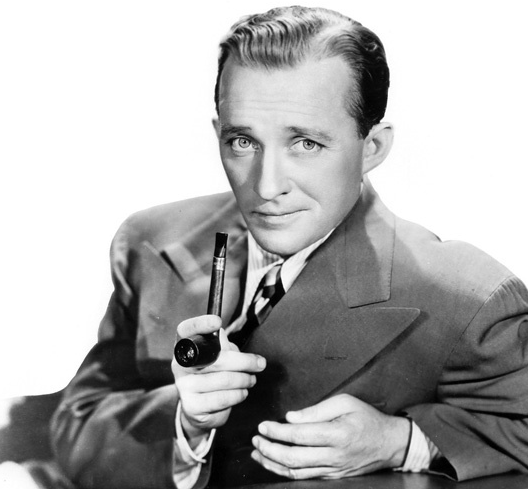 Be the first to comment on "Bing Crosby Chesterfield Show"